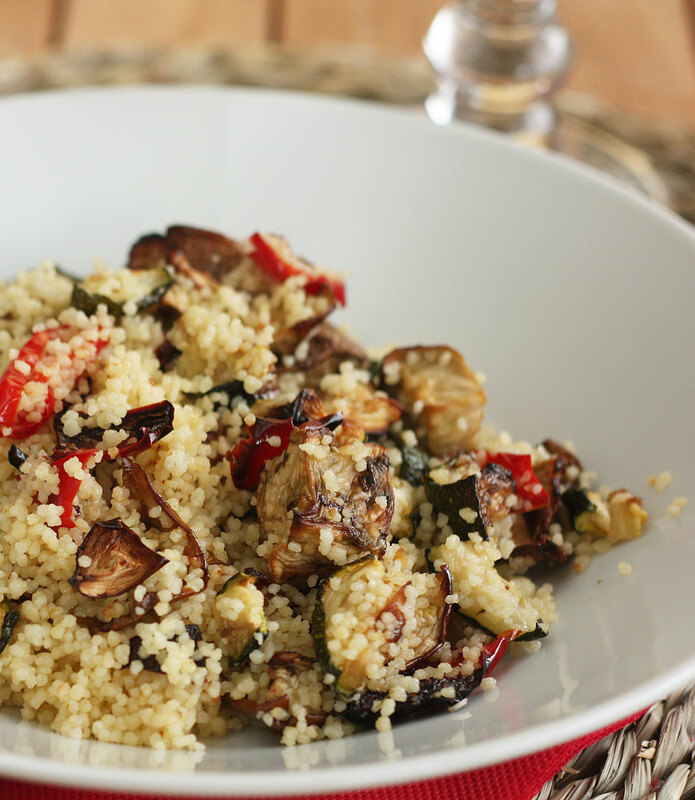 This light couscous recipe is my Autumn version for the couscous salad I prepared so often this Summer. I ate it for lunch for three consecutive days last week and today again, as I was already missing it ;-). It is a healthy recipe, ideal for when you’re dieting because it gives you plenty of satisfaction with few calories. Obviously, if you’re not dieting, you can add more extra virgin olive oil than I did, but I assure you the light version doesn’t lack of anything. 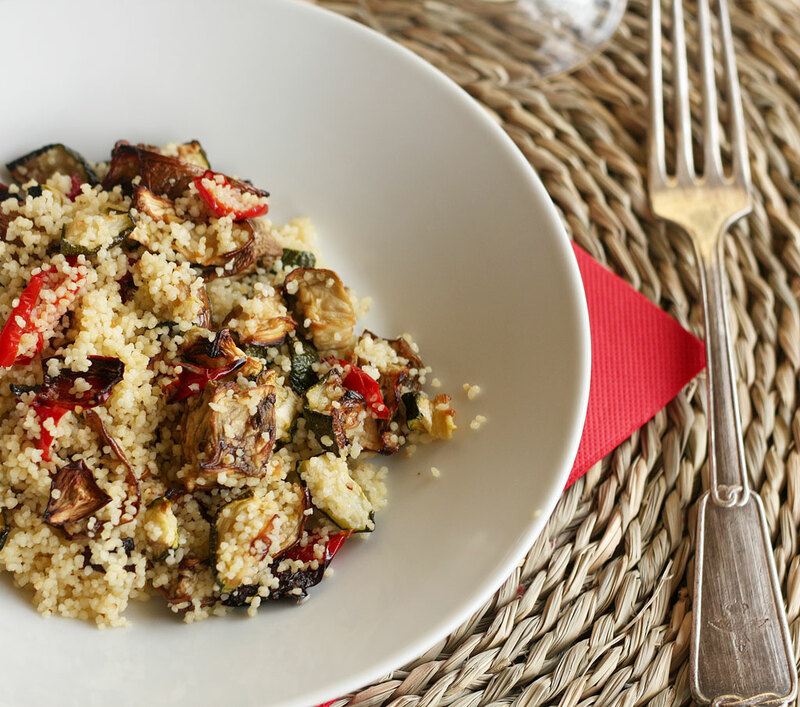 You can vary the vegetables following your preferences, but I found this mixture to be perfect. It has another big advantage: it can be prepared in advance. I prepare half of the recipe you see below and eat it all in a bowl, like a child eating ice cream ;-). 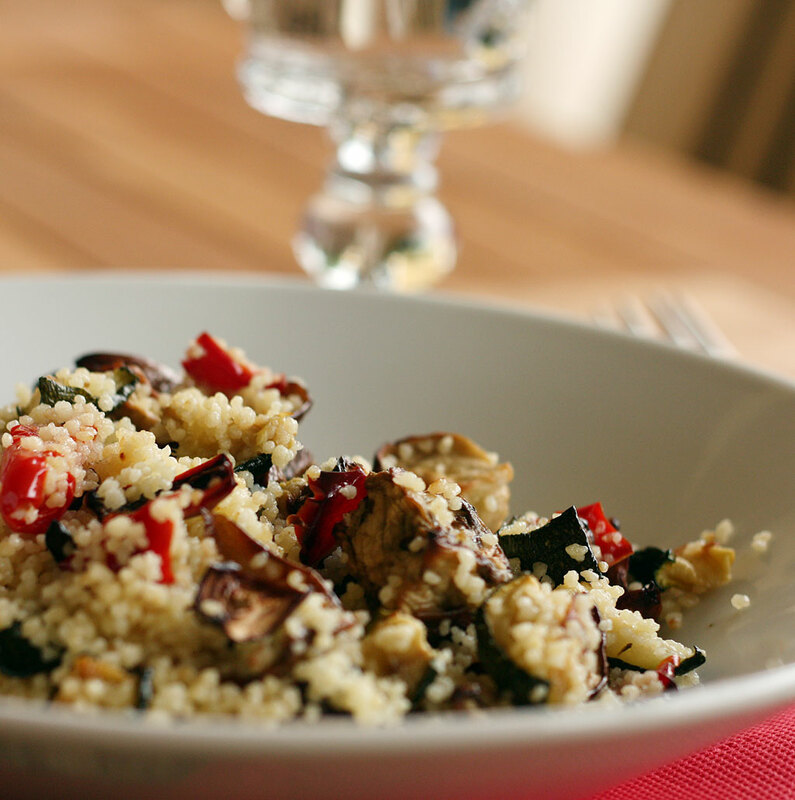 I really like this couscous recipe, and I hope you will enjoy it too. I prefer to use white onion because it seems to be more delicate and gives the taste without dominating. 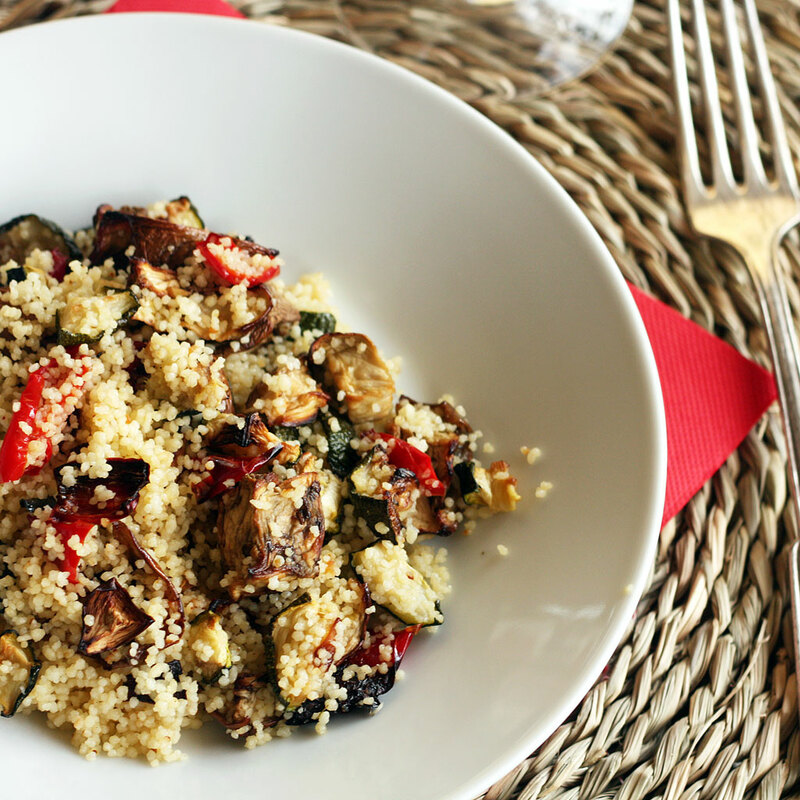 p.s.- There’s another couscous recipe I prepare often, click here to check it. Peel the onion and cut it in cubes. Wash, cut the hard parts and cut in cubes the eggplants, zucchini and red pepper (eliminate seeds from the red pepper). Put them into an oven tray covered with parchment paper. Bake for 30 minutes, mix them up and bake for 30 minutes more. In the meanwhile cook the couscous following the instructions. 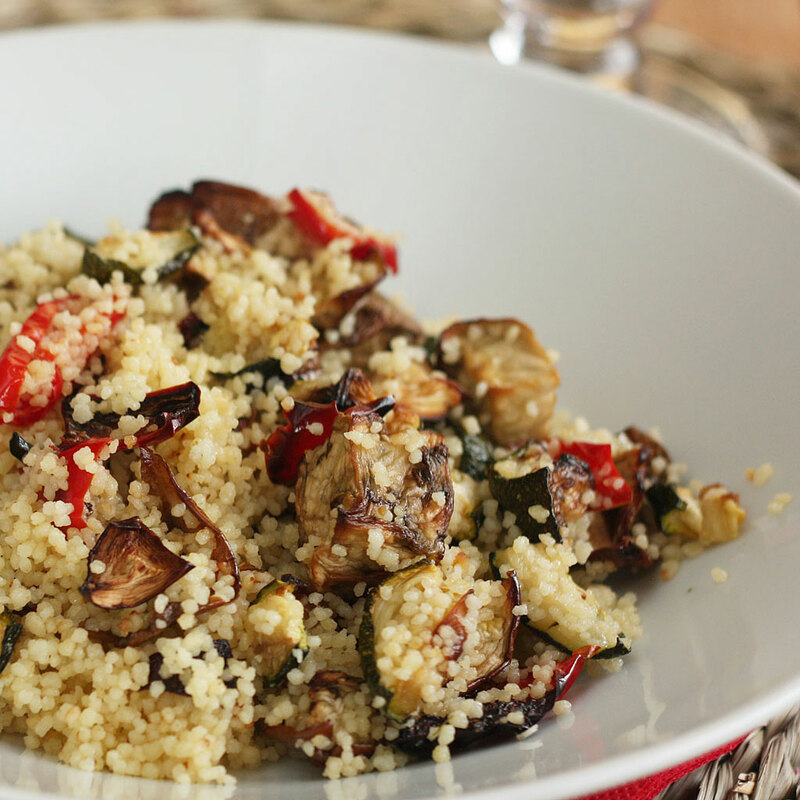 Mix the vegetables with the couscous, add salt to taste and the extra virgin olive oil.